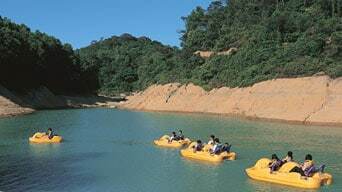 Hác-Sá Reservoir Country Park is located in the southeast of Coloane Island. Here you can enjoy BBQ facilities, walking trails and canoeing. Splash about in a hired boat, and enjoy the beautiful scenery of the Jacaranda Kiosk and mountain forest area. 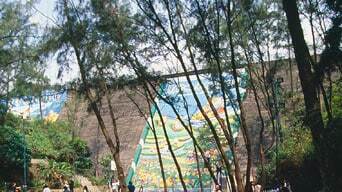 Near the reservoir dam you can also find a plant maze, picnic and camping area, family trail and fitness trail.